Editor's note: Are you kidding me on the surf these guys are getting over there in Florida! Capt Ron reports on then next storm to bring waves to the right coast. Got a little bit last Saturday. It dropped off quick. First pic is me in the afternoon. Toes on the nose getting small. My wife is in the background. The early morning was good as you can see from the pic... I wish the photog would have gotten more pics of this wave. I pulled up in the barrel on this one for about 5 seconds and got spit out the end. Just a sick little wave. Not one close out all day- it was a blast. Did not get crushed or beat up, good day lots of fun waves to be had. We have TS Erika coming to the party this weekend hopefully the winds will be favorable. 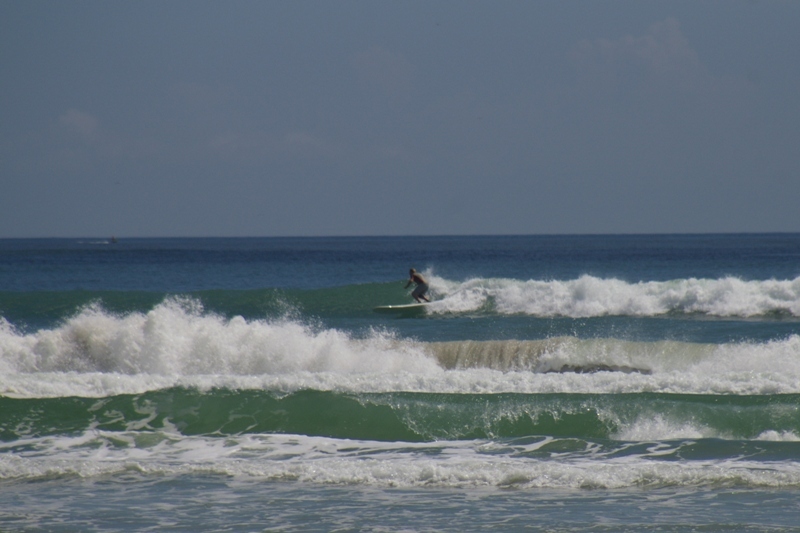 It is almost in the best south swell producing area for my beach. This time of year the hurricanes line up its awesome when they stay offshore but I realy do not want to see another year like 2004. We had 5 come right accross the state. I remember Huricane Francis stayed right on top of us for 28 hours and lost power for 3 weeks, had fish swiming up the street. Unreal... Just so they pass by say high and give us good surf Woo Hooo! Should be some surf coming then? Can't wait to see the photos and thanks for a killer Danny update... I'm getting jealous over here! 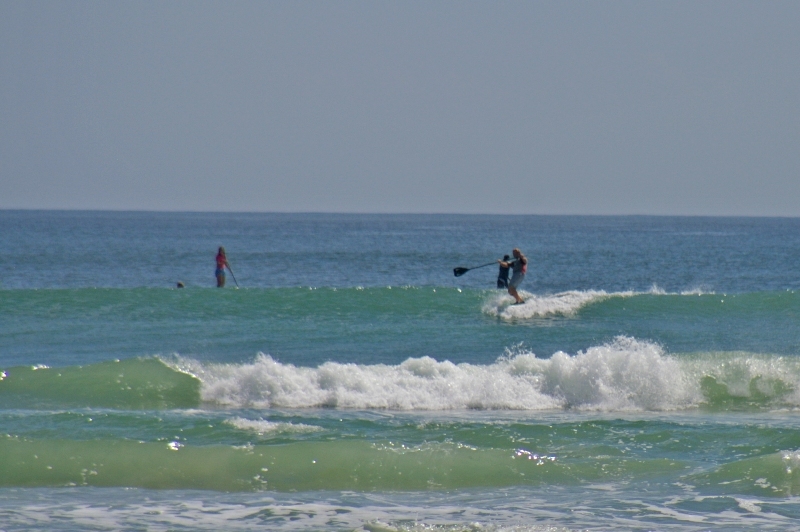 Things on Anna Maria Island Florida are ripping. Come by and check you the waves and the beaches.